Sometimes I wonder if the other parents at preschool notice that I wear the same ratty pair of yoga pants all the time, or if I have paint on my nose and dust in my hair when I come to retrieve Ben. I'm definitely not winning any awards for most put-together, that's for darn sure. But my tile project is humming right along, so that's a plus. I was so anxious about this project due to the massively wonky walls. 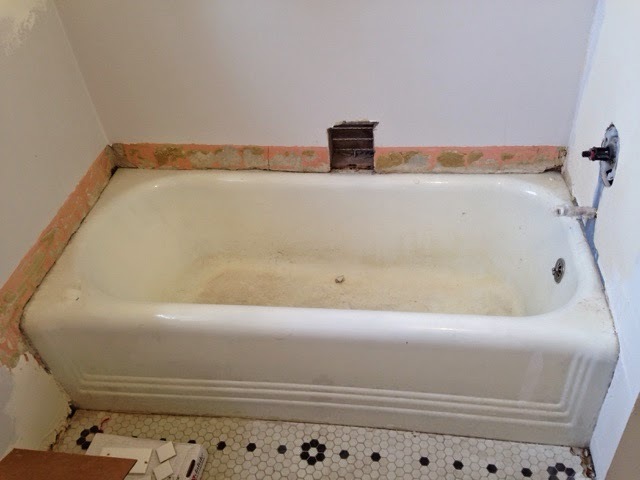 And the fact that our tub is almost two inches lower at one end. And the giant holes that needed to be patched. 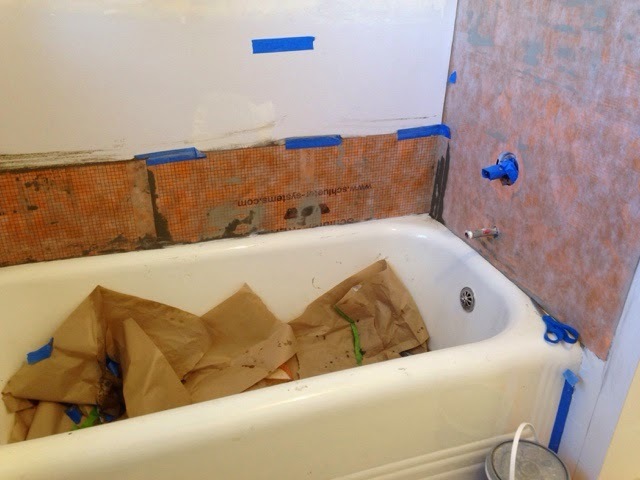 And the waterproofing material that needed to be added to protect the old plaster walls. And my limited tile experience. So, there was a lot to worry about. 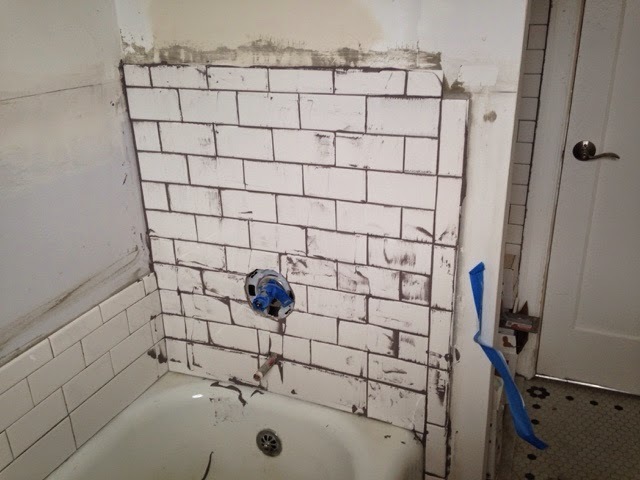 But I'm learning and making progress and best of all, I'm done except for two more sections of grout. One step closer to having my bathroom back! Ugh. We're just going to stop the list right there as its length thus far is too depressing. Shall we take bets to see if I'm finished by December?! 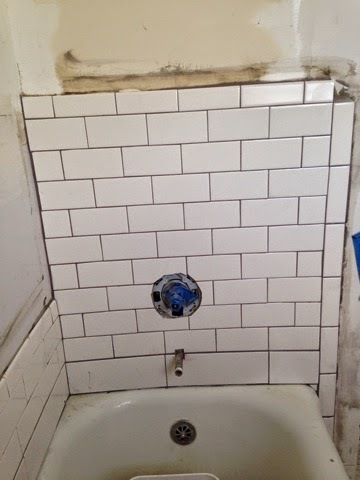 Hey Sonja, it may be late on this, but we tiled this past summer and used a special tape to put the tiles up first before coming along and finishing with grout. It made going up walls much easier. Good to know! Thanks Woods. 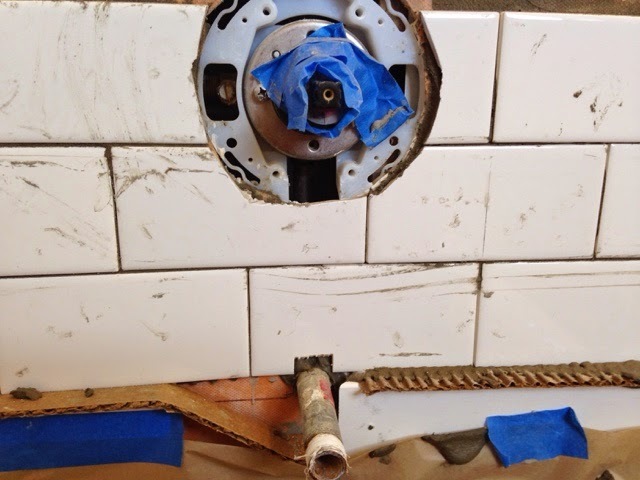 What substrate were you tiling over? Drywall, cement board, plaster, etc.